It’s been a long time since a book has actually moved me emotionally to the point that I cry. The Shoemaker’s Wife, by Adriana Trigiani, was a brilliantly written story of two characters that made my heart physically ache. Ciro and Enza will stay with me long after I have finished the book, and there were so many quotable/highlight moments in the book, I could never list all of my favorites. The historical moments were wonderful, especially getting glimpses of the Metropolitan Opera House and early New York City. I grew up in Minnesota for many years, so the book ending there was especially touching. The love story was something that hasn’t reached the inner recesses of my heart since reading The Notebook. I loved the intimate settings of Italy, the caring of the nuns in the convent, all the way to the rushing of New York City and the rural country of Minnesota. This book offered so much for the soul and made me believe in love, true love, honor, and loyalty again. Bravo! For the orphaned elf, Arwenna, life had treated her kindly. Her human foster parents raised her well, preparing her for life as a cleric of the God, Silas. The illusion shattered when she was convicted of treason by the Paladins of Silas and executed. Death wasn’t the paradise she expected. Tortured by demons, the layers of lies that had clouded her mind began to peel away. She’d been tricked into betraying Senyan, a man she thought she loved. Her skills had been used to bind the Demon Lord, Corse, to him. She was never intended to serve Silas. Arwenna bore the mark of a Daughter of Hauk. 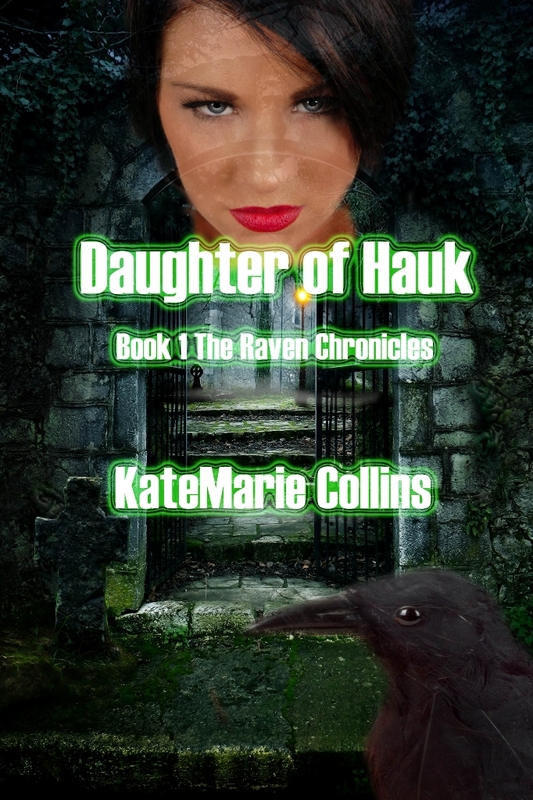 Would Hauk give her the chance to stop Corse from fully manifesting in the world? And would she be able to save Senyan from the abyss she helped send him to? Dominated and controlled by an abusive mother, Lily does what she can to enjoy fleeting moments of normality. When a break from school only provides the opportunity for more abuse at home, the sudden appearance of a stranger turns her world even bleaker. Disappearing without a trace, he has left a lingering fear in Lily. His parting words to her mother, “Have her ready to travel tomorrow,” is something her mind refuses to accept. Running away is the only answer. But before Lily can execute her plan, a shimmering portal appears in her room. Along with two strangers who promise to help keep her safe. With time running out, she accepts their offer for escape and accompanies them into a brand new world. A world in which she is the kidnapped daughter of a Queen, and the heir to the throne of Tanisal. My second novel, “Mark of the Successor”, is going to be released! It’s a stand alone fantasy novel, suitable for all ages. So far, I’ve only written fantasy. There’s something about being able to create an entire world and society that appeals to me. I’m a huge fan of the genre, too. At least 90% of the books I have on my bookshelf are fantasy. My first novel, “Daughter of Hauk”, began after a Dungeons & Dragons game I played in ended badly. I really wasn’t happy with it, so I took some of the characters and asked myself what I thought would happen next. For “Mark of the Successor”, it came from the online writing group I’m part of. We do challenges, where someone tosses out a subject and we write very short stories about the topic. Once I did that, however, the main character I created would not shut up until I wrote an entire novel. I get amazed with every good review! I had one that remarked “this book is destined for the big screen”, and that really blew me away. It would be surreal and exciting at the same time if that came to pass. Do you have a system to writing? Favorite place? Time? Music playing? Quiet? Food/Drink? In my office, with the stereo cranked up. The music depends on what characters I’m writing about. Protagonists tend to be more celtic or movie soundtracks, whereas the antagonists demand my heavy metal albums. A bottle of water, maybe some finger food to nosh on during a short break. When I really get going, I have my eyes closed. I’ve found I can visualize a scene really well in my head and let my fingers find the right words. Do you have people read your book before submitting it? Or do you keep it a secret? I’ve got four beta readers, and three crit partners. The beta readers will let me know about gaping holes in the plot, or areas they really get confused on. My crit partners, though, are truly amazing. They’ll do very extensive, in depth line edits that make me think even deeper about the characters. Arwenna from ‘Daughter of Hauk’. There’s a lot of me in her, and I put her through some situations that I’ve experienced to a lesser degree. Finding the words to get her to work past the after effects really helped me do the same. Emotionally charged scenes are the hardest for me. I get so involved in what my characters are going through that I have to take time afterwards to decompress. David Eddings, for one. He had this way of being able to make his characters seem like real people, had dialogue that was something I could say to someone. I really admire the naturalness of his work. I also love Nick Pollotta. That man can make me fall off the chair laughing from a single sentence! I’m a member of the Society for Creative Anachronism, make candles, chauffeur my daughters, sew, read, play D&D, and love visiting comic book stores with my hubby. I’m a geek and I know it! My cat, Athena, is 15 years old but doesn’t even weigh 5lbs. She has a set amount of time she insists on napping on me every day, usually when I’m at my computer trying to write. It took several tries, but she can curl up across my shoulder and take her nap and leave my hands free so I can keep working. Born in the late 60′s, KateMarie has lived most of her life in the Pacific NW. While she’s always been creative, she didn’t turn towards writing until 2008. She found a love for the craft. With the encouragement of her husband and two daughters, she started submitting her work to publishers. When she’s not taking care of her family, KateMarie enjoys attending events for the Society for Creative Anachronism. The SCA has allowed her to combine both a creative nature and love of history. She currently resides with her family and three cats in what she likes to refer to as “Seattle Suburbia”. I am excited to host author, Lisa Bilbrey, in my consecutive weeks of “The Next Big Thing in Authors!” In the following weeks, I will host authors in all types of genres, hopefully with something that may catch your eye and get you reading! 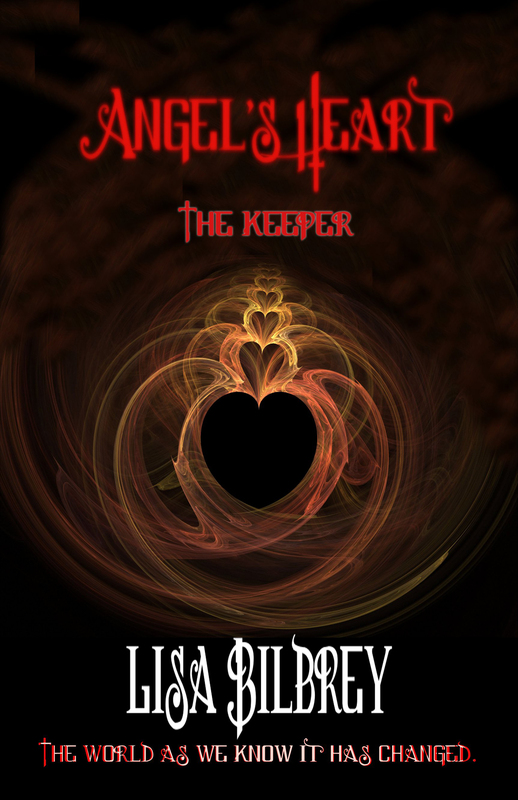 Check out what Lisa has to say about her work, her passion of writing, and read an excerpt from her newest novel, Angel’s Heart. The closer they got to Sayar Island, the more anxious Sophie found herself getting. Her toes tingled, and her hands shook; the feeling seeped up her arms and into her chest. Soon the feeling had spread throughout her body. Sophie’s heart began racing. Reaching up, she wrapped her fingers around the small heart-shaped charm hanging around her neck. “Dad!” Sophie yelled, scrambling to her feet. Everyone turned, staring at her, but she didn’t care. Henry didn’t argue with her. Instead, he settled back on the bench seat with her in his lap, holding her even tighter. Sophie’s nails dug into her palm while she gripped her necklace, ignoring the fiery burn scorching her flesh. Still the tingle inside of her grew, intensifying at an agonizingly slow pace. By the time Oliver pulled the boat up to the docks at Sayar Island, Sophie was nearly gasping for air. Scrambling out of Henry’s arms, she jumped off the side of the boat, landing on the dock, and took off running toward the crystal white sand. “Sophie, stop!” Deva yelled, but Sophie ignored her. She stepped off the wooden dock, letting her foot touch the sand. Just as on the boat, the feeling inside her increased. Falling onto her knees, she brought her hands up, eyes popping open when they began glowing. The glow shot up her arms, wrapping around every inch of her body. Crying out again, Sophie tumbled forward, seeing everyone run toward her just before everything went dark. 1.) 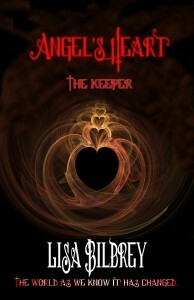 How did you get the idea for Angel’s Heart: The Keeper? The inspiration for Angel’s Heart came from a dream. I’d been having trouble sleeping, as I seem to have a lot, and I had a dream about a woman standing on the shore of a beach, her arms were wrapped around her body and she was sobbing. A light mist was falling over her and the waves were crashing upon the shore. I don’t know why, but I knew that the storm was tied into her emotions. When I woke up, I had this urge to write it out, so I scrambled to my laptop and began writing. This whole new world opened up to me and swept me away. 2.) Why did you choose Sophie as the name of your main character? One of the hardest tasks I had with Angel’s Heart was coming up with the name of my main character. To me, the name of a character sets the stage for how the book is written and I have to love it. I went through a long list of beautiful names such as Grace, Olivia, Hannah, but none of them were right. Then one day, while I was complaining to my husband about it, I looked in the backseat of our car and watched my daughter, who was around five at the time. Her name is Sophie and I knew I wanted her to be my heroin. Of course, now she’s convinced that she’s a witch, but who am I to argue with her. 3.) What’s your favorite sport? Oh, that’s a hard one, but I have to say that I am a huge fan of football. My oldest son, who is fifteen, plays and I love watching him. In fact, he was the inspiration for my novella from Harvest Treats, Book Three of the Candy Collection. The Journey Home is the story of a professional football player who is facing the end of his career, but still loves the game. Suddenly, he finds himself trying to figure out what he’s supposed to do now. It’s not until he goes home for the first time in ten years that he finds his true path in life. 4.) Have you been to Hawaii or Ireland, since the book was set there? Would you like to go? I haven’t been to either places, and had to do a ton of research on both locations while writing Angel’s Heart. I tried to convince my husband that I needed to go for research purposes, but he wasn’t keen on the idea since it meant him having to stay at home with our three kids. One of my dreams is to be able to go to both places and see for myself the inspiration that brought Angel’s Heart to life. 5.) How did you come up with the appearance of Henry? When I started coming up with my supporting characters, one of the decisions I made was to make Henry and his family Chinese. Though they are native from the small island in Hawaii that I created for the Angel’s Heart, their backstory is important to the second book and I wanted to set that in motion from the beginning. 6.) When did you start writing? I started writing about seven years ago, once again after having a severe bout of Insomnia. Unable to handle just lying in my bed, staring at the ceiling, I opted to write out the stories I often had running through my head. I’ll be honest, they weren’t very good, but I learned and grew as an author, as I still am. I believe that with each book I write, I hone my craft a little more. 7.) How do you handle writer’s block? Writer’s block is such a huge issue for most of us, and for me, I find that starting a new project often helps to get the creative flow going. Sometimes, it becomes my next book and others, it becomes trash in my recycle bin, but I find that focusing on something new and different works for me. 8.) Do I listen to music when I write? If so, who? I always have music on. My iPod is a permanent part of my body. I find that different music helps to inspire different types of writing. When I’m finding myself in a particularly emotional passage, I turn on what I call my Endless Awakenings playlist. It has a bit of everyone from Evanescence, to Nickelback, to A Fine Frenzy, but all of them are gut-wrenching and help feed my emotions. When I am in a more upbeat story, I hit my Sing Me to Sleep playlist, which has Linkin Park, Fran Healey, Amos Less, Timothy Bloom, and more. Well, I always have a new project on the line. Right now, it’s getting the next three novellas in The Journey Collection ready to be released. The first book, The Journey Home is, as I mentioned before, a part of Harvest Treats. The second book, The Journey of Champions will be released in April as an eBook, while the third book, The Journey to Forever comes out in June, also as an eBook. The fourth book, The Journey to a New Life is scheduled for release in September as an eBook. Also, I have the second book in the Angel’s Heart series, The True Enemy to finish, and another two-novel series, the first of which is entitled What Should Have Been to complete. There’s never a dull moment for me. I’d like to thank Jessica for having me on her blog and I hope that y’all will check out my books. Sophie Crenshaw always knew she was different, but the last thing she expected was to find out that she was a witch. Now, with the world literally in her hands, she must come to terms with her new found position in a society that she never knew existed. Henry Chang is tied to her by an unbreakable bond. Will he be able to help the woman who holds his heart? With the recent loss of her father, Emma Dawson struggles to get from one day to the next. When she starts receiving gifts from a secret admirer, she finds herself being forced to reevaluate everything she thought she knew. Will she open her heart to the mystery man of her dreams, or will a blast from the past sweep her off her feet? Can they be one in the same? Meredith Murphy ran when life became difficult. Ten years later, she once again finds herself rolling down the highway, and seeking refuge in the arms of her father. When Jonathon Wentworth shows up at Camp Willow Pines, she must decide if she’ll wallow in the past or follow where fate takes her. Travis had it all until a hit threatens to end his career. Upon receiving an invitation to return home, he realizes that not everything in life is as simple as he thinks. Will he be able to handle learning that the greatest gift in life has been just an arm’s reach away? Riley Farris and Natalie Sloane were the best of friends who spent every summer together on the sandy beach of Mustang Island. Then, just when Riley is getting set to spend another summer with Natalie, she disappears. As the years pass, he struggles to understand what happened to the girl he knew. Until, one night while walking on the beach, he stumbles upon a woman who is broken and lost. 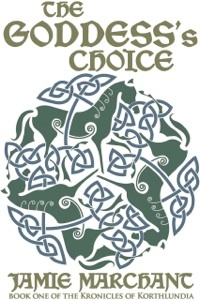 I had the chance to host a fellow author, Jamie Marchant on my website, and I couldn’t wait to hear more about her book, The Goddess’s Choice. 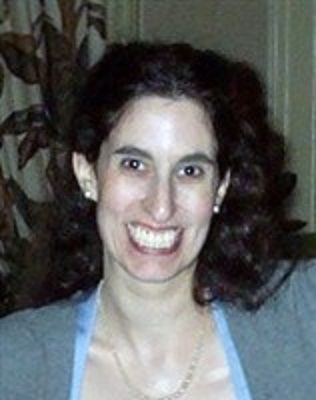 Below, find her synopsis, a sample chapter and contact information. Cheers to another fellow author adding to the mix of my new books to read and review. The crown princess Samantha fears she’s mad; no one but she sees colors glowing around people. The peasant Robrek Angusstamm believes he’s a demon; animals speak to him, and his healing powers far outstrip those of his village’s priests. Despite their fears, their combined powers make them the goddess’s choice to rule the kingdom of Korthlundia. 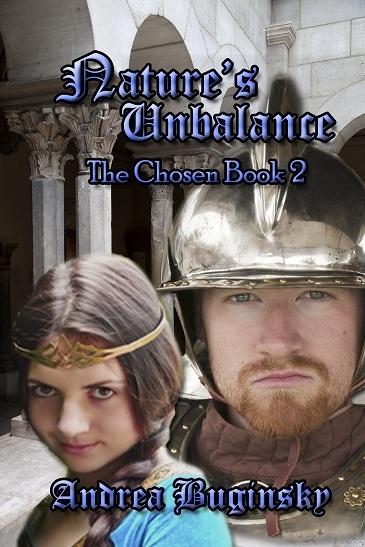 In my sword and sorcery novel, The Goddess’s Choice, Samantha’s ability enables her to discern a person’s character through their multi-colored aura, and Robrek’s makes him the strongest healer the kingdom has seen in centuries. But their gifts also endanger their lives. Royals scheme to usurp the throne by marrying or killing Samantha, and priests plot to burn Robrek at the stake. Robrek escapes the priests only to be captured by Samantha’s arch-enemy, Duke Argblutal; Argblutal intends to force the princess to marry him by exploiting Robrek’s powers. To save their own lives and stop the realm from sinking into civil war, Robrek and Samantha must consolidate their powers and unite the people behind them. The Goddess’s Choice is based on a Norwegian fairy tale, “The Princess and the Glass Hill.” Though my favorite fairy tale as a child, it disturbed me that the female character has no name and no role other than being handed off as a prize. My novel remakes the crown princess of Korthlundia into a strong heroine who is every bit as likely to be the rescuer as the one rescued. “Please, no!” Robbie Angusstamm screamed as his father’s heavy strap came whistling down on his bare back. He tried to yank his hands free, but his brother Boyden held them tightly against the dining room table. Sulis curse it! Why do I have to be such a worthless weakling? He promised himself he wouldn’t scream again, but he screamed just as loudly the next time the strap hit. “Sleeping by the river in the middle of the goddess-cursed afternoon! How many times must I beat you before you learn responsibility, boy?” His father brought the strap down even harder. “I didn’t mean to!” But Robbie’s explanation turned into screams of pain as the strap landed again and again. Robbie let out a humiliating whimper when his father finally stepped away and Boyden let go of his wrists. Robbie clutched a chair for support and struggled to hold back his tears. By the goddess, don’t let them see me cry. “Yes, sir,” Robbie said, ashamed of how pathetic he sounded. “I’m not going to have to send your brother looking for you again, am I, boy?” Angus Camlinstamm loomed over Robbie, making him feel even shorter than he was. Like that will ever happen! Robbie clutched at his empty stomach, knowing he’d get nothing to eat before breakfast. He pulled his shirt carefully over the welts on his back and stumbled toward the back door. As he passed through the kitchen, one of the servants quickly drew the star of Sulis in the air to ward off his evil. He hated it when people did that, but how could he blame them? He caught his reflection in the shiny pots that hung from the kitchen wall. Dark black hair, the color of night and demons. Green eyes, unlike those of the children of the goddess. Skin, darker than natural. He was also so short his brother called him a worm. and drew two large buckets of water from the well. He staggered toward the barn, the weight of the buckets bending him forward and pressing his shirt against his back. Praying none of the servants or farmhands would see him, he set the buckets down and emptied some of the water. His father would beat him again if he knew, and Boyden would laugh at his weakness. Boyden could carry hundred-pound sacks of grain as if they contained feathers. Boyden was everything their father wanted in a son. Boyden hadn’t killed their mother. When he reached the barn door, he shouted for Allyn or Darien to open it, but no one came. The two farmhands were supposed to help him with the animals, but this wouldn’t be the first time they’d used Robbie getting in trouble as an excuse for taking the night off. They knew he wouldn’t risk another beating by telling on them. Robbie sat the buckets down to open the door. The barn was large, with plenty of room for the dozen cows, ten horses, and four mules as well as for the large pig and her half-dozen piglets. When he entered, the cows mooed happily. The horses and mules neighed and stomped their feet in greeting. A bird whose wing he’d mended flew down from the rafters and landed on his shoulder. It nibbled his ear affectionately. The animals’ joy seeped into his body like a warm, living current, strengthening him against both exhaustion and pain. Animals couldn’t sense the evilness in his soul. Only here was he loved. The animals’ welcome quickly turned to cries of thirst. He cursed himself for making them wait so long for water. He hadn’t meant to fall asleep by the river, but he’d been up most of the night helping a neighbor’s goat with a difficult birth. “It will be alright. Robbie’s here now. Just be patient, and I’ll get water for all of you.” The animals all quieted. They knew they could depend on him. It took several more trips to the well to get enough water, and by the time he’d finished, his head was swimming. But he was far from finished. :Of course. : Ronan licked his paws as if getting the last taste of a recent kill. :Good hunting. : Robbie didn’t exactly hear Ronan’s words; it was more that he got an image or feeling from the cat’s mind. He didn’t know why he could understand animals; he’d always been able to. Perhaps it was another sign of his demon blood. Robbie placed the milk in the icehouse. He then turned to cleaning the stalls and feeding the animals. When he entered Wild Thing’s stall, the mare neighed. :Wild Thing stomp father bully to mash. : Robbie hugged his horse around the neck. With Wild Thing, communication had always been particularly strong, and her mind seemed much more complex than other animals’. He supposed this was because Wild Thing wasn’t a normal horse. Four years ago he’d found the days-old foal out on the plains, near the body of her dead mother. She’d been half-mad with hunger and fear. Her brilliant coloring, somewhere between chestnut and auburn, and the stars on her chest and forehead made it obvious she was a Horsetad. The herd of wild horses roamed free on the plains of Lundia, and people said they could never be tamed. The origin of the Horsetads was highly debated. Ages ago, some said, Sulis herself had ridden her chariot in the land, and her horses had mixed with those of earthly origin. Others said the Horsetads had escaped from the seven hells and their demon masters and were forever unwilling to allow anyone to master them again. Robbie knew she was wrong, but he didn’t argue. Wild Thing might well be a demon herself. Many in the Valley thought so. It was very late when he finally stumbled up to bed. Despite his hunger and the pain in his back, he was so tired he fell almost immediately asleep. Early in the morning, Robbie stirred. When he tried to sit up, his back protested. But he knew the pain wouldn’t last too long. His demon blood made him heal more quickly than normal people. He struggled to his feet and carefully got dressed. He brushed the tangles from his long, curly hair and tied it back with a strip of leather. He felt the smoothness of his face, wondering if he’d ever grow a beard. At sixteen, a lot of boys had at least some hair on their faces. Then again, he’d never heard of a demon with a beard. As he left his room, the pain of an injured animal pressed against his mind. He hurried outside and heard a faint mewing. He followed the sound around to the back of the barn and found Ronan covered in blood. Robbie knelt beside the cat and stroked his head. “What happened to you, boy? Don’t worry, Robbie’s here.” Robbie cradled the cat in his arms and carried him inside the barn where he kept his medicines. As Robbie examined the injury, he sighed in relief. “It’s not as bad as I thought, my boy. Some of this blood isn’t yours. Got a few licks in yourself, did you?” Ronan mewed feebly, and Robbie saw an image of Ronan fighting several overgrown rats. Robbie cleaned the wound carefully. Then he treated it with one of his salves. Robbie couldn’t explain how he knew how to make his remedies. No one had taught him. Certain plants just seemed to make good medicines, and certain medicines felt as if they’d help a particular problem. As he rubbed in the salve, a trickle of energy moved through his fingers into Ronan. The sensation resembled other men’s descriptions of the pleasure to be found with a woman. Ronan’s wound began to heal. Holy Sulis, what is this I do? If being a demon feels this good, maybe I shouldn’t mind being one! By the time Robbie finished bandaging the wound, Ronan had drifted into a peaceful sleep. Angus scowled. “How do you know you’ll even have a harvest? Do you have any of your wife’s preserves left?” Cullen’s wife was rumored to make the best preserves in the Valley, not that Robbie had ever tasted any. “Send all you have back with the boy, and I’ll wait for the money.” Robbie’s father stomped back to the farmhouse without even looking at him. Cullen licked his lips nervously, and Robbie looked down at his feet, feeling both angry and ashamed. He hated it when people were scared of him, but he knew they had reason to be. “You have a sick animal?” he asked, still not meeting the man’s eyes. Cullen backed farther away as he explained what was wrong with his plow horse. It sounded like the lung sickness. Robbie fetched his supplies and saddled Wild Thing. On the ride to his farm, Cullen stayed far away from Robbie and said nothing. Robbie tried not to mind. Farmers came to him because he was far better at treating animals than anyone else in the Valley, but Robbie knew they wished they had another choice. Just what do you think I’d do to them? I’d never hurt a woman or a child. I’d never hurt anybody. But even as he thought it, he knew it was a lie. Couldn’t his demon blood cause harm even if he didn’t mean it to? It had killed his own mother. They dismounted in front of Cullen’s small stable. The farmer led him inside, still careful to keep his distance. As soon as Robbie entered, his lungs tightened, making it difficult to breathe. A bay gelding coughed and wheezed. Robbie touched the horse to be sure of the extent of the illness. “He has the lung sickness, like I thought,” Robbie said. He had the man light a brazier, and he set about brewing a remedy for the horse. “I’ll give this to him now, but he’ll need the dose repeated three times a day for a week. Come fetch me again if he’s not acting better in a day or so.” As he put herbs of differing amounts into the mixture, he explained the process to the farmer. “I have better things to do than writing down remedies,” Robbie snapped. He wasn’t about to admit he was too stupid to either read or write. Father Gildas hadn’t allowed him to attend the temple school, claiming the knowledge of the goddess shouldn’t be shared with the seed of demons. Just after noon, Robbie started back to his father’s farm with three jars of strawberry and two jars of peach preserves in his saddlebags. He felt lightheaded, and his stomach ached with hunger. Cullen hadn’t offered him so much as a piece of bread, and because of Ronan, he’d missed breakfast. By the time he reached home, the noon meal would be over. Robbie knew Wild Thing was suggesting they stop at the abandoned stable up ahead. He’d found this stable when he was twelve, during one of his wanderings through the woods looking for plants for his remedies. The stable consisted of a small barn with four stalls and a fenced-in paddock with grass for grazing. A small stream ran alongside it, and it had been in surprisingly good condition for an abandoned structure. He’d fixed it up to use as a private retreat. He stopped beside the stream and opened the jar and reveled in the sticky sweetness of the fruit; it was the best preserves he’d ever tasted. He made sure to wash any sign of the preserves from his hands and face before heading home. In Robbie’s dreams that night, the demon lady came to him. He’d dreamed of her for as long as he could remember. She always dressed in brightly colored, loose-fitting clothing; tonight she wore scarlet, trimmed with bright silver braid. Like him, the lady had black hair, green eyes, and dark skin. As a child he’d longed for sleep, where he could curl up in her arms and listen to her stories and songs. But as he’d gotten older, the dreams had begun to trouble him. If demons loved him, didn’t it mean he was as evil as people said he was? I live in Auburn, Alabama, with my husband, son, and four cats, which (or so I’ve been told) officially makes me a cat lady. I teach writing and literature at Auburn University. My first novel The Goddess’s Choice was released in April 2012 from Reliquary Press. I am hard at work on the sequel, tentatively titled The Soul Stone. My short fiction has been published in Bards & Sages, The World of Myth, and Short-story.me. Michael Thal has written a beautiful novel; a must read for those especially in middle school and up. Goodbye Tchaikovsky tells the remarkable, eye opening journey of David Rothman, a boy who suffers permanent hearing loss at the tender age of twelve. What is so amazing, is Thal’s way of showing both worlds, the deaf and hearing, and how they affect someone going through this tragedy. David Rothman struggles to accept he can no longer pursue his passion of music, and worries how he will fit in the world, when neither deaf people nor hearing people totally accept him. His future, his dignity, his sense of purpose hangs by a thread. But David has the help of a family member and friend to push him through the first difficult years, to assimilate into school and the throes of relationships. The reader travels from David’s early adolescence all the way to graduation and the beginnings of college, and they get to rejoice in his journey, stumbles and all. The beginning of Jessica’s book “Linked Through Time” introduces a girl who’s used to all civilization has to offer to a place where time has basically stopped, and she must learn to appreciate her surroundings. My book series, THE CHOSEN, introduces readers to a world that is full of medieval times and fantasy. Step into the portal with me, and come visit Phantasma! Phantasma is the world where The Chosen live. It is a small world, with various areas, towns, forests, regions, and the Capitol City, The Castle of the Elves. When I tried my hand at drawing a map of Phantasma, it came out a little strange-looking because, let’s face it, I can’t draw. So, let me take you on a visual tour of Phantasma. Hold on, and enjoy the ride! In the middle of Phantasma sits The Castle of the Elves. This is the elf kingdom where Queen Laurali and King Jerome live, and The Chosen meet and train for their missions. Striker and Kaidyla are from here, and Lumina was born here. Halli was also born here, though she didn’t grow up here. Silvor was raised here with Striker’s family. To the East of the Castle is Drumple, the small Dwarf village where Halli is from. Drumple is made up of the dwarf huts where the villagers live. In the center of the town sits the Tavern, where the villagers love to stop and visit, and of course, enjoy a nice mug of ale. The village sits at the base of a mountain. At the top of the mountain sits the Ironworks Castle, where many of the villagers work on making the various items the dwarves use on a regular basis. The castle can be seen from anywhere in Drumple, and is a favorite view of Halli’s. She often likes to sit under a tree staring up at the castle while reading a good book. The village also has a small school, where Halli teaches the students all about the wonderful stories she loved to hear growing up, and is now a part of. To the West of the Castle of the Elves is Loch Moss, a very strange area covered in a thick slime that reminds Halli of the pea soup her father loves to eat. There is a bridge going over the Loch, connecting it from the East side to the West side, and another bridge crossing it from the North side to the South. But be careful: there are many different slimy creatures living in the Loch, and you may be asked to perform a quest for the gatekeeper before being allowed to enter the Loch and cross over. To the West of Loch Moss lies The Swamp Lands. This is a very dangerous area that leads to The Darkness, Phantasma’s most dangerous area. I suggest avoiding this area altogether. The Chosen traveled this route in their first adventure together to seek out Prince Gastle and destroy him. North of Loch Moss is the forest area where many of Phantasma’s creatures can be found. Hunters love this area! The Caprice Forest is the first of two large forests you’ll pass through as you head northeast to Londonham, followed by the Shamrock Forest. Londonham is the home of the goliaths. This is where Redsham and Silvor are from. It lies to the furthest West of Phantasma, safely north of The Darkness. The goliaths lead a very peaceful life here. As you can imagine, Londonham is big and full of large trees and buildings. But everything is built to resemble the outdoors, as the goliaths love nature. Let’s head back to the Castle of the Elves now, and take a tour north. You will begin to pass through mountainous areas as the air grows colder and snow begins to fall. If you go too far north, you’ll reach the South Gate, the southern entrance to Ogre Land where, you guessed it, the ogres are from. I suggest you avoid this area. But if you’re determined to get to the northern region of Phantasma, I suggest you bring some friends to help get you through the ogres’ village and cross through the North Gate. North of Ogre Land is Polard, the most northern point on Phantasma. To the south of the Castle of the Elves lie friendlier areas to visit. This area has yet to be fully developed in THE CHOSEN series. I hoped you enjoyed your tour of Phantasma! Please come back anytime. Now hold on, the portal is about to transfer you back to your computer. Michael L. Thal, an accomplished freelancer, is the author of The Legend of Koolura and Goodbye Tchaikovsky. He has written and published over seventy articles for magazines and newspapers including Highlights for Children, The Los Angeles Times, and San Diego Family Magazine. You can learn more about this author at www.michaelthal.com.